Perfect Laser has many years of experience in the wall mural printer machine industry, strong technical strength, advanced production technology, is the industry leader in the wall mounted printer.Perfect Laser newly developed a vertical small wall mural printer machine. No need to move the machine during the inkjet process, and the printing accuracy is very high. Due to the use of high-quality ink, the finished inkjet product is full-color and full-color. 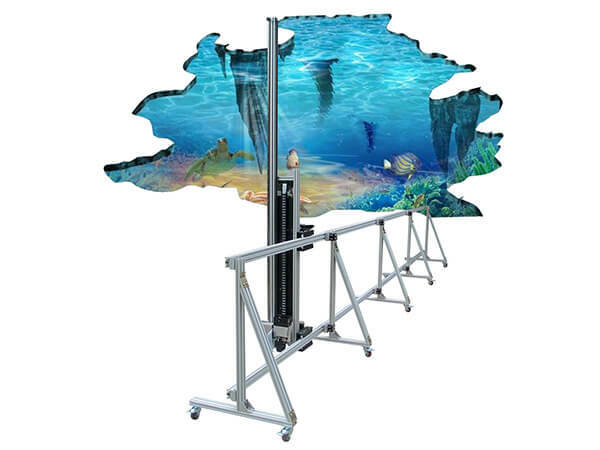 The 3D vertical wall printing machine is well received by customers because of its excellent quality and perfect after-sales service. 1. 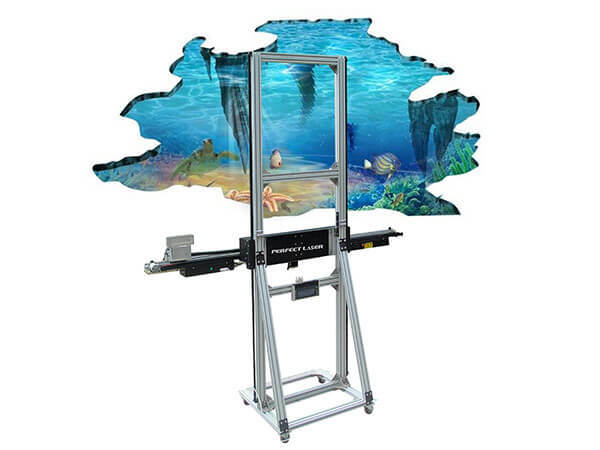 This 3D vertical wall printing machine is equipped with a brushless servo motor control system, with no raster bar, vector positioning function. And the motor is free of carbon brushes, eliminating the need for maintenance, regular replacement, cleaning, and worrying about garbled graphics after wear. Make the painting faster and the finished product better. 2. The wall mural printer machine use the most advanced technologies such as high-definition piezoelectric ink jet technology and variable ink drop technology are used. These technologies improve the accuracy, sharpness, and beauty of the picture, and also increase the delicateness of the indoor color painting surface and the working speed of outdoor painting. 3. 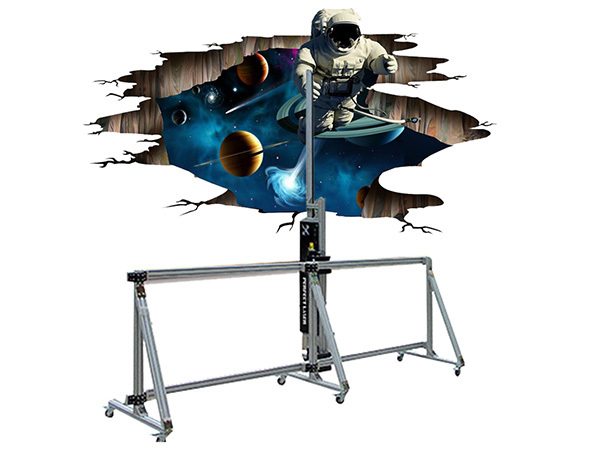 The wall mural printer machine's actual screen size height is 2000mm, and the width is not limited. The operation does not require splicing or the location of the mobile machine. 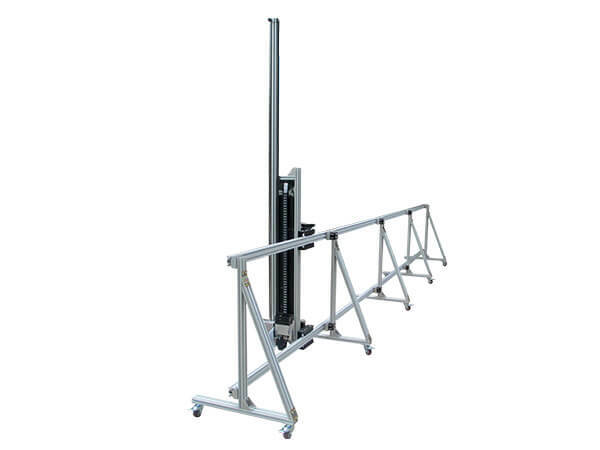 Customers who need large format, no longer have to worry about the size of the format. 4. The 3D vertical wall printing machine is also equipped with a simple multi-color ink cartridge ink supply system, which has the advantages of stability and convenience. It also supports quick separation of pipelines and separation of water and electricity. 5. The fuselage specially reserved UPS, inverter interface, can be used to install a built-in power system, so that the machine can still operate for about 10 hours after power off. It eliminates the problem that the machine cannot work properly due to power outages, improving work efficiency and using more peace of mind. 6. 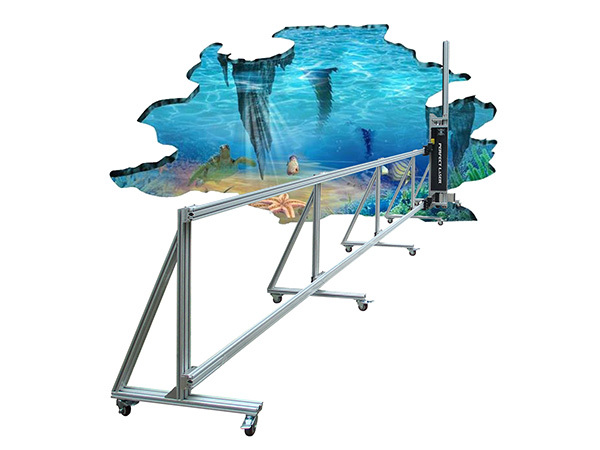 The wall mural printer machine is equipped with a very advanced sensing system. The system is imported from the United States and has the functions of two-way induction and automatic positioning. 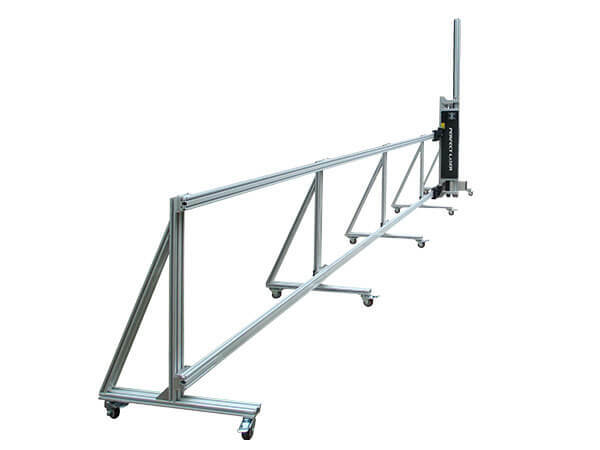 It can automatically deal with the problem of wall tilt and wall unevenness, which can effectively reduce the risk of damage to the head. 7. The design of the 3D vertical wall printing machine head is more user-friendly, and it adopts a detachable structure and integrated design, which can greatly avoid the damage of the head caused by the handling, thereby prolonging the actual service life of the nozzle. The 3D vertical wall printing machine can paint various materials such as rice paper, glass, latex paint wall, interior and exterior walls, imitation porcelain walls, ceramic tile, shell powder, putty wall and special materials.